Sono sulla tourist guide Michelin! My name is Yoshimi. I am Photo Editor at Michelin Apa Publications Ltd. 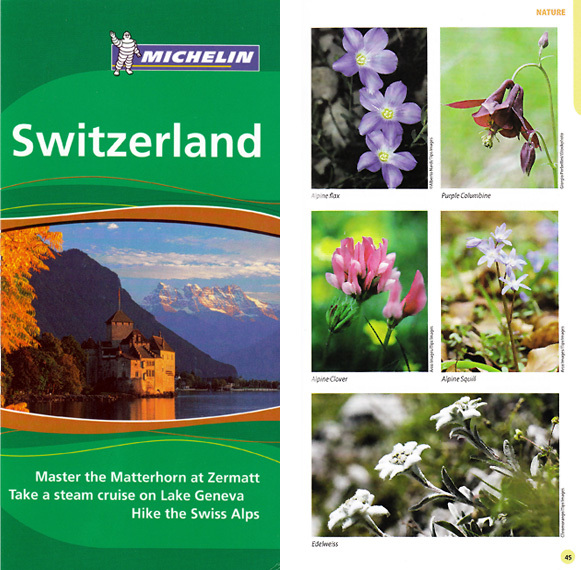 I would like to use your image: 4245655 Purple Columbine flower in the inside of Michelin Tourist Guide to Switzerland 2008. It will be published in the US and the UK in March 2008. Please let me know how you would like to be credited. For example, gege78/iStockphoto. Non so ancora quanto sarà il guadagno (non credo che dovrà acquistare la licenza estesa), ma al di là di questo… vogliamo mettere la soddisfazione?? ?